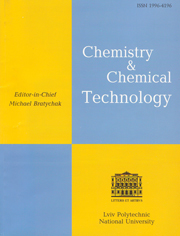 Article contains results of oxidation of different classes of hydrocarbons (alicyclic, alkylaromatic) in the presence of catalytic systems containing salt of variable valence metal and organic additive of different nature (perfluorooxasulphonates, crown-ethers, polyglycols). It was found that the influence of investigated catalytic systems depends on the nature of the hydrocarbon and the nature of the additive. The main areas of influence of organic additives on the rate and selectivity of oxidation of hydrocarbons were considered and the most probable ones were proved. Nazimok V., Ovchinnikov V. and Potehin V.: Zhidkofaznoe Okislenie Alkilaromaticheskikh Uglevodorodov. Khimiya, Moskwa 1984. Simon J. and Le Moigne J.: J. Mol. Catal. A, 1980, 7, 137. Gosling P. and Nolte R.: J. Mol. Catal. A, 1996, 113, 257. Rybakakimova E., Otto W., Deardorf P. et al. : Inorg. Chem., 1997, 13, 2746. Ariko N., Kenigsberg T. and Mickevich N.: Neftekhimiya, 1982, 5, 653.